As a landscaping and hardscaping company, Hutcheson Horticultural Company is well aware of the increase in property values that our services bring to residents in Woodstock and surrounding areas. While we’ve discussed this fact before, it is also noted on The Top 10 Reasons We Need Trees published by the United States Department of Agriculture (USDA). This list also describes the energy savings that is associated with trees. Tree shade, in particular, is where some of the energy savings come from that we are referring to. 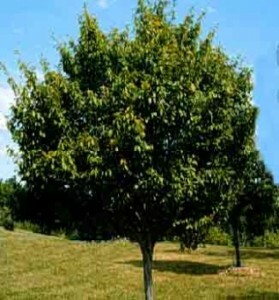 An average household can save up to $250 a year from properly placed shade trees. Planting location is incredibly important when considering the placement of a deciduous shade tree when it comes to energy savings. However, just because a tree is likely to provide shade, it does not mean that it needs to be planted right next to a window for that shade. When planting a tree it is important to consider three specific variables. Tree height, location of buildings, and location of existing trees and bushes, will help determine where trees are best suited for planting. Considering how quickly a tree will grow, and how tall it is likely to be upon maturing is an important factor. Certainly as a homeowner, you would not want a tree towering over your home several years down the road. The shade may be nice, but the potential damage from roots or a falling limb could be quite detrimental to your home. How close can the tree be planted to other trees? Root systems are not always predictable. Overcrowding of trees, shrubs, and plants can allow for competition for nutrients and less root hold. This will lead to a weak tree and may cause problems in the future. How close can the tree be planted near buildings? As trees grow, there is potential for damage from their root systems and from falling limbs or branches. Therefore, it is important to consider the proximity to a home, garage, or other structure when planting a tree. Research has indicated that deciduous trees be planted on the east and west sides of a home for energy savings. While there are general guidelines as to planting distances, a certified arborist is an expert in determining how close a tree should be planted in proximity to buildings and other trees as a result of their projected height. Contact our certified arborist at Hutcheson Horticultural today for a landscaping consultation to help you increase your energy savings with shade trees.